Dr. Terence Yacovitch is a native Montréalais. He completed his Sciences DEC at McGill University in 1972, where he continued on to complete his B.Sc. in Chemistry in 1975, and then his D.D.S. also at McGill University in 1979. Invited to be a Clinical Demonstrator and Lecturer upon graduating, Dr. Yacovitch participated for 16 years in the program developing student dentists at McGill. Multiple course attendee at the Las Vegas Institute for Advanced Dental Studies, having been to the Institute on over 15 occasions for study and course auditing. As an author on topics of interest to the dental profession, Dr. Yacovitch has been published in LVI Visions, the journal of the ACCD,  the journal of the ACDNA and the journal of the IACA. Dr. Yacovitch is passionate about keeping up with the latest advances in cosmetic dentistry, implant dentistry, computer assisted and reconstructive dentistry. To stay abreast of developing technologies in his fields of interest, he continues to complete hundreds of hours of postgraduate dental education every year, studying with the best dentists in the world. 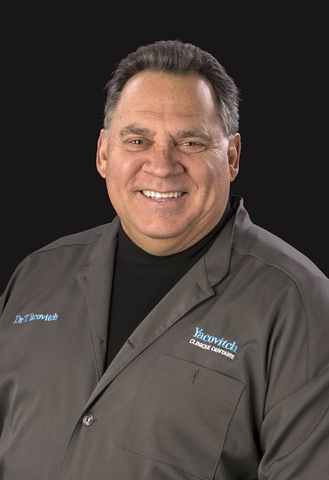 Dr. Yacovitch also finds great joy in coaching and nurturing dentists and their teams in various aspects of dentistry with his personalized training programs. In Dr. Yacovitch’s words:  “I am extremely proud of my devoted team of professionals who both provide and support all of our services and care for our patients. My team strives to give our patients the highest quality of dental treatments combined with exceptional personal service.